He recently joked he was 'done' with his multiple weddings to new bride Priyanka Chopra when he 'looked at the bill' for the lavish ceremonies. 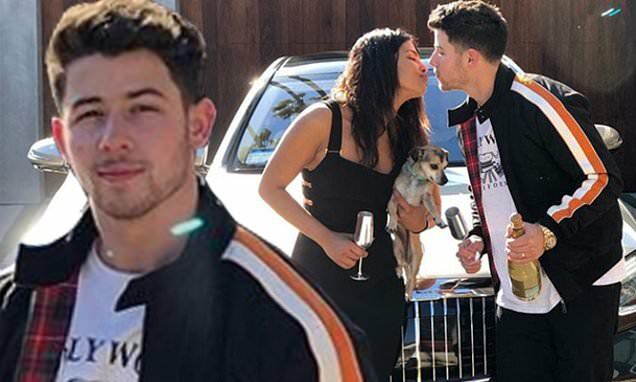 But Nick Jonas must still have some extra cash squirreled away, with the 26-year-old pop star splurging on a very expensive luxury car for his new bride on Tuesday. 'When the hubby goes number one.. the wifey gets a @maybach!!' tweeted the 36-year-old actress. The vehicle was apparently a celebratory gesture after her husband's song -performed with his siblings as the Jonas Brothers- reached the pinnacle of the Billboard chart. The Quantico actress finished her tweet, 'Introducing.. Extra Chopra Jonas.. haha .. I love you baby!! Yaaay! Best husband ever.. @nickjonas'. The accompanying photos showed the newlyweds kissing in front of their brand new Mercedes Benz branded vehicle. The boy band member and his siblings achieved their first ever Billboard number one with Sucker - the music video for which featured Priyanka, as well as his brother Joe's A-List fiance Sophie Turner.